Beautiful sheath dress, sleeveless, with back zipper. 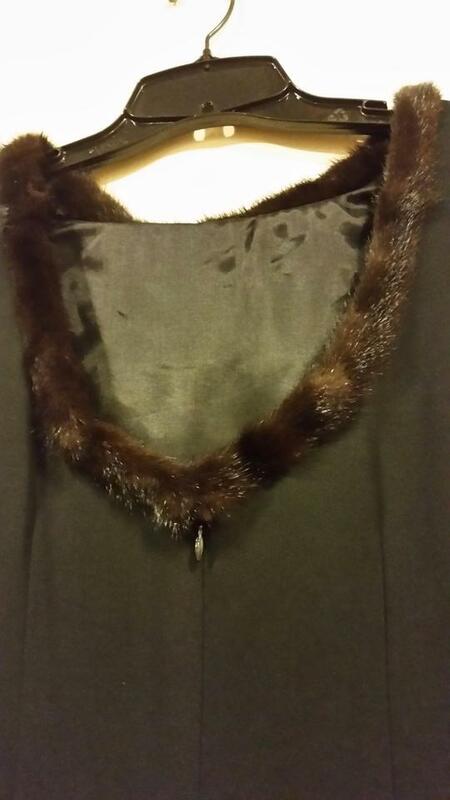 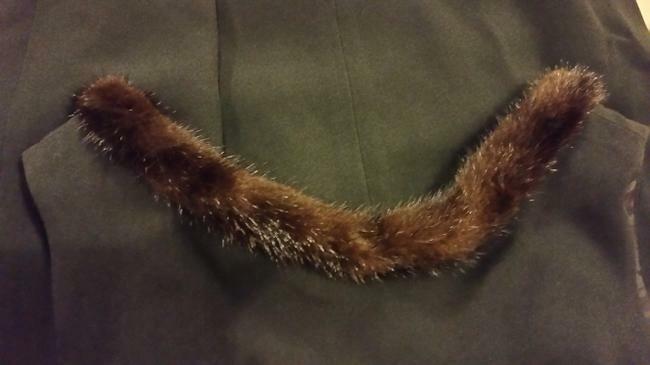 Gorgeous dark mink trim along neck and back edge. 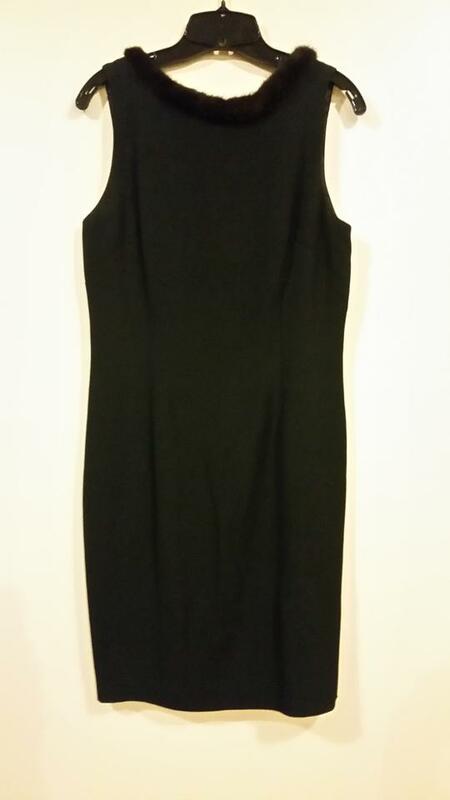 High neck in front with lower cut in back.